Group size: minimum of 2 and maximum of 7 guests. Available from June to November. Recommendations: If possible, please arrive in Cuiabá (CGB Airport) the night before so we may schedule an early departure (at around 7 AM). If you wish to arrive on the first day of the tour, we recommend an arrival at 10:30 AM (at the latest). On the last day we can drop you off at the airport any time between 4 PM (upon request) and 6 PM. 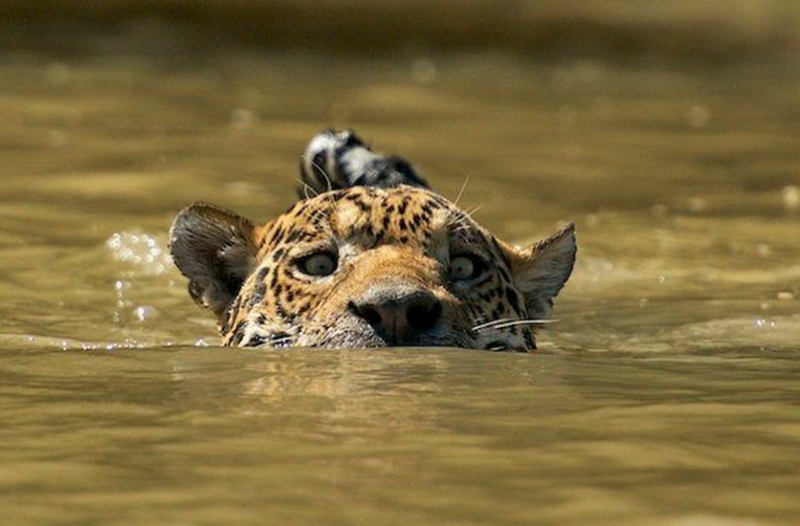 The tour includes: Transport in/out, 3 night accommodations at the Jaguar Camp Lodge, 2 night accommodations at 2 different Wildlife Pantanal lodges, meals, jaguar operation and activities, English speaking tour guide. Not included: Plane tickets, activities other than described in the programme, travel and/or health insurance, laundry services, phone calls and beverages (beer, caipirinha, soft drinks are not included). Mineral/bottled water is not included at Rio Claro. The Jaguar Camp has a water fountain, please bring your water bottle/canteen. After you have booked your tour, you will receive a detailed packing list along with your tour information. It must be used as a guideline for what you should bring. Usually, during the all seasons, we suggest light fabrics, which are comfortable, good for hot days and easy to dry. For evenings, cool days and long boat rides we suggest long sleeved shirts and long trousers which are also advised for protection against bugs and the sun - zip off trousers are a great option in this case. Different outfit options would be good to have on hand as the weather in the Pantanal is mostly hot and can be quite sticky. Another 'must bring' item is sunscreen as well as insect repellent. Toiletries and personal medication may be difficult to find, especially in the most remote areas, so be sure to bring them. For more information, please visit our FAQ's page.